This morning we met with Dave Merfeld a.k.a. “Merf.” He is the “Bono” of winemakers. Check out his yellow glasses in the pictures below. Merf’s daughter referred to him as “Dado.” Merf is the winemaker for Northstar Winery which is owned by Chateau Ste. Michelle. Northstar is their Merlot focused winery. Merf told us that being filmed is not his favorite thing to do, but he graciously did the interview anyway. I tried not to take too many pictures so he wouldn’t feel that the paparazzi was in town. Filming this interview, it was obvious that Merf has a passion to produce magnificent wine. Merf stated that, “Wine evokes memories, just like music.” Merf told us that one is at peace when listening to the music you love and this translates to the winemaker and then directly into the wine. 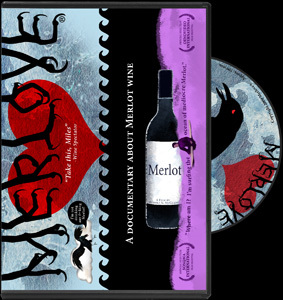 Merf is a passionate winemaker who believes in putting all one’s heart and soul into what he produces. He considers the people who will eventually be enjoying his wine. He wants them to have a good experience for a lasting memory for whatever the special occasion is (e.g. Weddings, Anniversaries, Birthdays, Graduation Days, etc. ).